AS SEEN ON TV! Big Mikes Special! 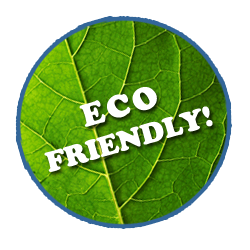 Leave the masks, gloves and toxic chemicals at the store and never scrub your shower door again! If you've tried every product on the market to clean your shower doors and none of them have worked, we have the answer for you! 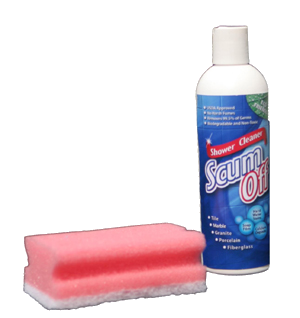 Scum Off is specially designed to clean hard water stains, calcium deposits and soap film without scrubbing! And best of all, it's 100% guaranteed! There's no risk in trying! 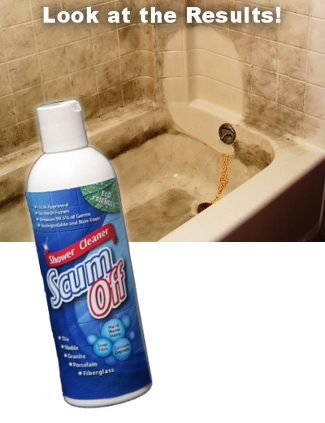 Scum Off works great on any shower surface like fiberglass, marble, granite, tile and glass doors, even ceramic stovetops! Kit includes 1-16 oz. container and 1 sponge.